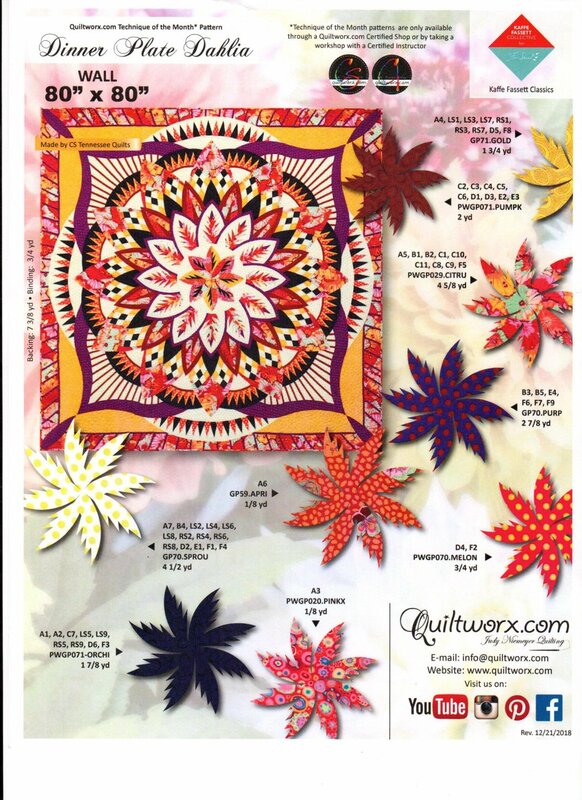 Dinner Plate Dahlia Fabric Kit. This fabric kit is for the Wall quilt. Fabrics are from Kaffe Fassett Classic collection.